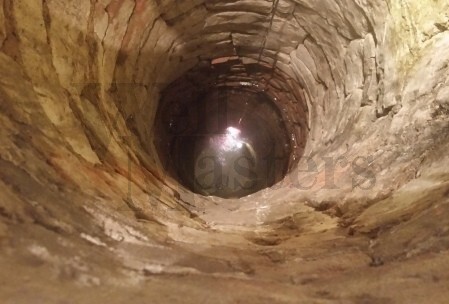 If you like how your well looks and would prefer to be able to see it more then we can help. Whether your well is in your garden or within your property we can ensure you get the best possibly advice and lighting system to suit your needs. Please read below for more information on some of the light scenarios which can be installed to light your well. If your looking for a simple yet effective on and off standard light then we can install a simple light system within the well at a position to suit you. If you would like more then one light if your well is fairly deep then we can also install a system of two or three lights. The lights can be controlled by a simple on and off switch, come on when it gets dark, set at a certain time of day to come on and also can be turned on when you get close to the well. The bulb will need replacing at some point with this system so you will need to take into consideration that we may have to come back and change the light bulb/s if you decide to have them mounted onto the brick or sides of the well. We can also install them on a chain system so you or someone else will be able to pull them up and change the bulbs very easily. However with the lights loose and not attached to the well you will find the angle and direction of the lights will be very indirect and will not face the way you would want them to. We would also recommend the lens/glass cover of the light be cleaned every 3-5 years to ensure the light is not blocked by dirt and dust. If you like the idea of having lights down your well, having them installed and facing the best possible angle is one of the highest priorities you should be thinking about. Having a standard bulb lighting system will become extremely expensive and tiring if you have to call a specialists in to have to change the bulb on a standard light system that is mounted within the well. With an LED light system it removes the need to replace any bulbs and can happily live within the well for more then 3+ years without the need to change any bulbs. We can install numerous amounts of these at different levels within your water well and can also angle them to suit you and the well itself. The downfall with these is we will not see you for many years but we would recommend the outside glass lens of the light be cleaned every 5 years as the build up of dust and dirt will limit the amount of light emitted by the light itself. We would also highly recommend this type of light system if you plan on having a glass cover on the top of your well. We can install many different types of LED lights including different wattage depending on how bright you would want and also the depth needed to be lit by the light. An LED light system will also be much more economical to run. For instance a 10w LED light is equivalent to a 100w halogen bulb. This type of light system is one of our most popular systems we install. It consists of LED lights, The amount again will depend on the depth and brightness you require. The pictures and videos below will show and explain much more then what I could write here. The lights are colour changing, dimmable, numerous modes and functions and can be controlled by remote control. The system is perfect for showcasing your well was hand dug many years ago by skilled well sinkers. For more information on this or any of our light systems please do not hesitate to contact us so we can offer the best system for you and your well.